I’ve had the pancake blues for years now. 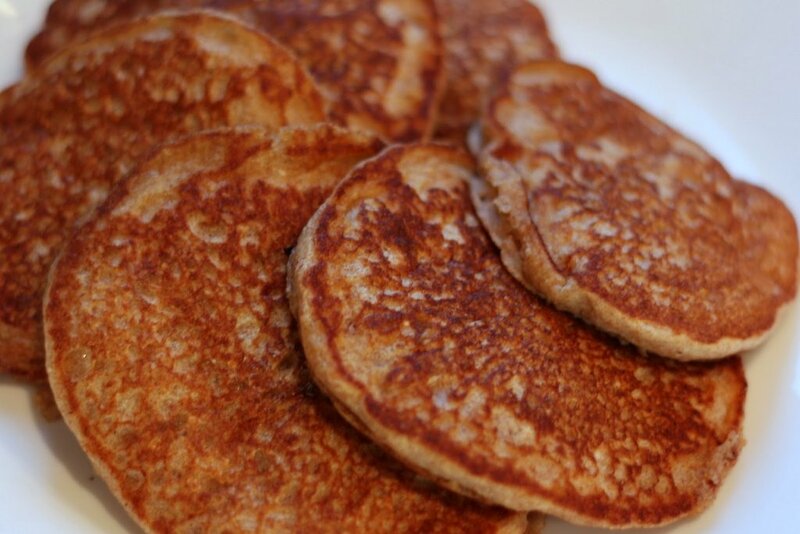 That’s not to say I haven’t loved wheat pancakes. 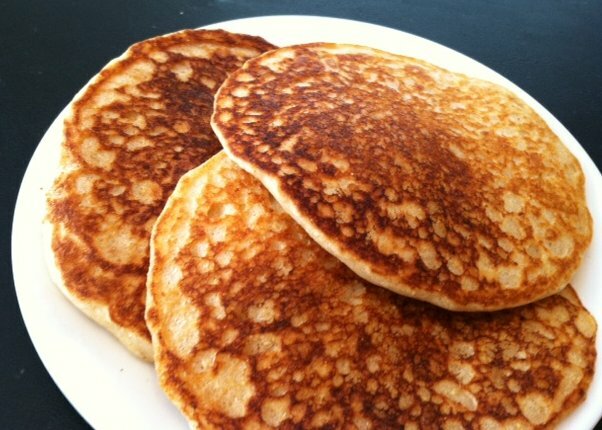 Yet every time I tried an all-purpose flour recipe, the pancakes have been heavy and unappetizing! They were either too thin, too dry, too thick, or too rubbery. However, not this recipe of my mother’s devising. I suspect not only that the ingredients are the perfect measurements, but that there is a secret baking tool as well–the crepe pan! Honestly, the crepe pan made all the difference in the world. Since the bottom of the pan is perfectly flat and extremely thin, the pancake cooked quickly and evenly. If you haven’t invested in a crepe pan, do so now. My next use to try out with the crepe pan is omelets…I’ll let you know how those turn out! Now I’ve never really been one for the “Monday blues.” However, sometimes I do awaken in the morning less than enthusiastic to get up to go to school. 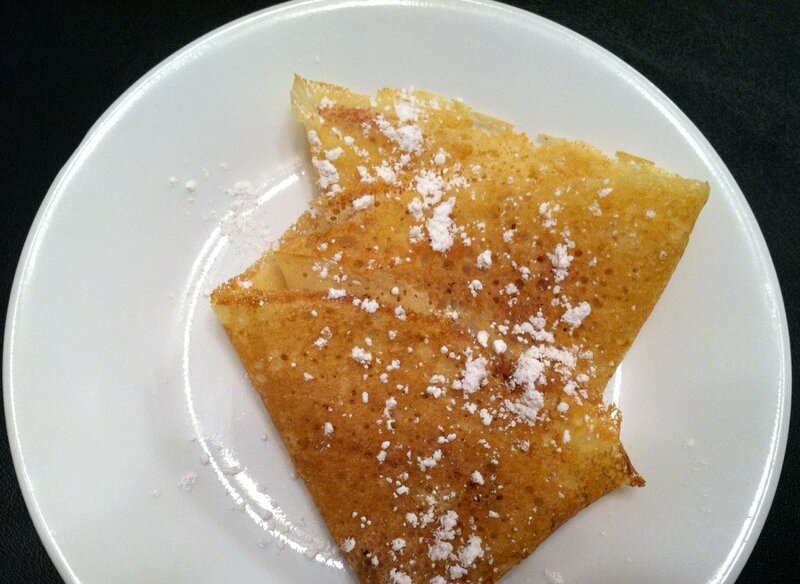 But I am confident that a good breakfast can always help–and it helps to have a great crepe pan, too! 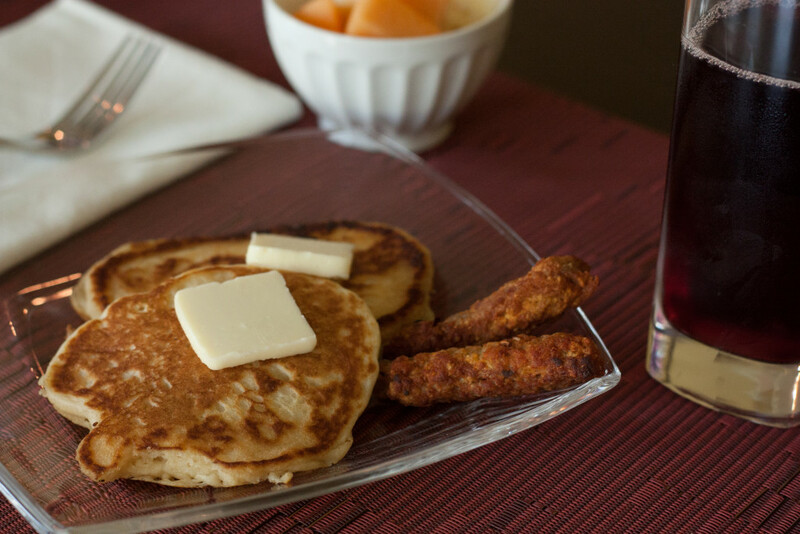 So even though “Good Morning Heartache” (sung by Billie Holiday) explores the saddness of a morning, try this pancake recipe out on your crepe pan and I’m sure you’ll find that your outlook is far brighter after your perfect pancake breakfast! This recipe does not work well when doubled. Instead, make two separate batches. In a glass 2-cup measuring cup, pour half-and-half cream to the ¾-cup line then add two more tablespoons. Stir vinegar into half-and-half cream. Add egg and vanilla. Stir to combine. Set aside. In a microwaveable glass quart measuring container, just barely melt 2 tablespoons of butter for 5-10 seconds. Add liquid ingredients to butter and stir briskly so the butter is mixed in. Pour liquid ingredients into the flour mixture. Stir together but do not try to remove lumps. Heat a crepe pan over medium heat and put a thin sliver of butter in the center. 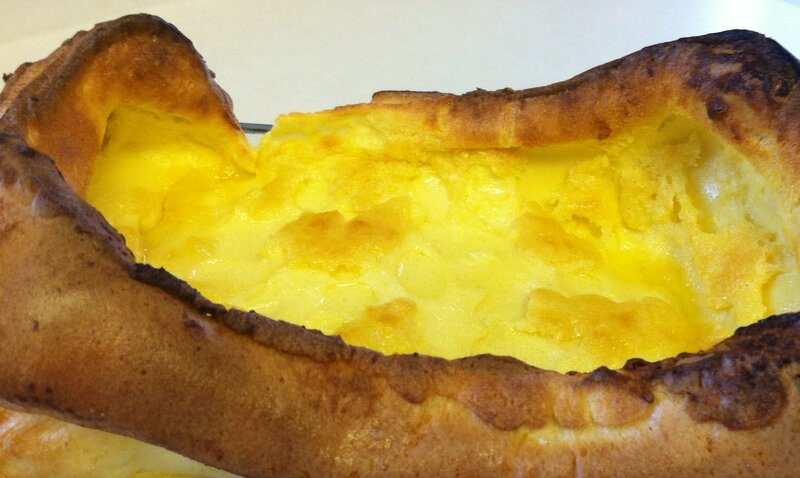 Pour pancake batter into the center until it almost reaches the edges. Gently spread better to cover any holes. Cook until bubbles form and start to pop. The edges will shrink up a little bit and look crusty at this point. Lift pancake slightly and slip another thin sliver of butter under the spatula as you flip the pancake over. Makes 3-4 pancakes about 7” in diameter.